Have you ever listened to an audio recording or screen capture audio that was crystal clear and had a booming voice? Did you wonder how you to chose the right microphone to create that kind of audio? Well….Mark Monciardini produced an awesome video along with a blog post filled with resources that will help anyone get better quality audio for their podcasts and screencasts. First I really hate to listen to myself, but after I get by that, I’m always depressed by the quality of audio that I produce in either podcasts or screencasts. I always knew that I really needed to know how to chose the right microphone. I know the quality of audio can be much better that what I now produce, but I really didn’t know how to go about finding it. Afterall I bought the most expensive headphone and microphone combination I could find. Also, I messed with every audio recording setting I could discover…..kind of like a 5th graded pushing all the buttons on your stero amplifier. I’ve listened to Mike Stewart the internet audio guy and got some great tips from him, I know he also sells top end equipment needed to get the great professional sounding audio. Here’s the issue…..I know that if even I, have great equipment my voice will sound 100% better. Well, I got an email from Mark Monciardini telling me he did a video and blog post on how to get the greatest audio possible along with where to find and how to get all the needed audio equipment. If you do screencasts, podcasts or other audio recordings…..do yourself a favor and check out Marks blog posts on choosing the right microphone. I know you’ll pick up a few pointers….and maybe even get yourself set up on a budget so you can get the components you need to create some awesome audio in your screencasts and podcasts. Here’s a Free Pocasting Tutorial on how to find the podpress plugin and how to configure the plugin. 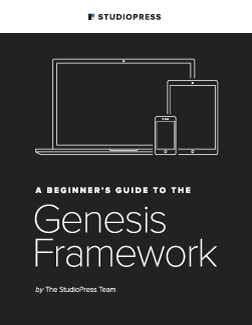 This is really one of the best tutorials I’ve seen….and its FREE! It’s not necessary, but you might want to check out his School of Podcasting. Looks like he has a free or mininum price trial….just checked, actually you get to try it free for 30 days. Think I’ll join and check it out, really seems to know all about podcasting and it won’t cost you $500 like some of the other podcasting guru’s. I have Tiffany’s Book about Squidoo and have been following her posts about squidoo techniques and I have to say she definitely knows her stuff. 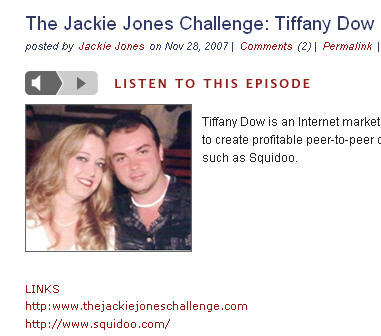 Tif gets interview by Jackie Jones and I was able to pick up a couple of great tips concerning squidooing….it’s a great interview for anyone doing squidoo and worth the listen. In case you don’t know what squidoo is…well, listen to this podcast and you’ll learn about squidoo. Squidoo is involved in the Web 2.0 revolution and geared especially to those interested in marketing online. It’s a great way to get some backlinks to your website for seo puposes…however, squidoo is constantly evolving like most Web 2.0 sites and it pays to keep informed about the important changes as the site evloves. Found a great free podcast where Perry Lawrence is interviewed about online video production and membership sites. Perry Lawrence has over 20 years experience in video production and explains how he transformed from video production to becoming and expert on membership sites. I’ve heard Perry talk before and he definitely knows his stuff. There’s more information in this 30 minute podcast than in most paid calls I’ve been on. If you’re interested what direction internet marketing is going, consider Video and Membership sites…..that’s what Perry exposes. Memberships really are the way to create consistent residual income and you don’t have to spend a lot of money to start your membership. This is an Easy Membership Script that can have your membership up and running in minutes and it contains all the features you need to protect and run your membership. A great way to start a membership and once you get it going……do something called Membership Flipping, an easy way to make some quick money. Blogging can be great fun and it also can be a great source of income. Blogs can be used to keep loyal readers current with events and happenings in your industry. Podcasting can be a quick way to add 5 minutes of audio, a brief message, mentioning and important change, event or sale. Use your imagination. Just remember, podcasting with wordpress is easy….there are a ton of tools available, I’ve only listed two of them. For adding audio or video to your wordpress blogs, please check out Mike Stewarts information and resources for podcasting and videocasting! A pocasting plugin can be found at Audio podcasting for wordpress. Find out how to use Feedburner Feed Replacement to increase traffic to your podcasts. I’ve got some more plugins and will get them posted as soon as I can. Podcasting…..you need to do it! Podcasting adds stickiness to your site. Podcasting creates a following. Podcasting quality content will create a pied piper effect. Your visitors/followers will be anxious to see what you have to say or recommend next. I need to podcast. For someone who might say, “What the heck is podcasting?”….Simply put, it involves placing an audio file on your website or blog. Some people like to read…some like to listen…and some like to watch. A podcast doesn’t have to be a dissertation, in other words, you can take a 5 or 10 minute tip and turn it into a podcast. There’s really no limit to how you can use this medium. Although video has become very popular, think of all the situations you can load an mp3 player with teaching audio that will feed you brain while driving, gardening, doing your taxes :(, ….name it. Audio in the form of mp3 files and/or podcasting is here to stay. I you question that statement, consider the radio. I’ve heard stories from my mother and father….they grouped around pop machine sized radios waiting for their favorite shows to come on….listening with anticipation thru the static. Of course TV came along and has become a means to disseminate leftist propaganda in the United States….ya, ya, I know, leave the politics out. In my humble opinion, television has done nothing to stimulate your thinking. It does more to propagandize, lead and direct. Most movies and shows are produced for the shock value. In other words, they are completely useless for garnering facts that you can use to form an inteligent opinion. Someone, (talking head) does that for you. Sorry for that little rant, but I wanted to prove a point. Despite the enormous growth of TV, I don’t know how many 1000’s of stations are avaiable……Radio still is alive and well, in fact…for thinking people, radio is flourishing. Do you see the connection between radio and podcasting or mp3’s. All….simply audio. Words designed to teach, inform, direct and help you form opinions so you may determine your own direction……..That’s the power of Podcasting! When I think of internet audio I think of Mike Stewart. The Internet Audio Guy as he likes to be called. Mike is one of the pioneers and he has the answers. Pauls been around for awhile…..knows his stuff and I feel confident recommending him to you. I would find his newsletter link and join, you’ll get some valuable information. Brad Fallon is the CEO of FreeIQ. It’s the new marketplace for ideas and Smart Marketing, which includes a network of wholesale and retail internet businesses.” It will transform your approach to business and the internet. Podcasting is in for 2007. You’ll find a great screencast tutorial for a wordpress podcast plugin at MightySeek.com. In fact you’ll find all kinds of good material relating to podcasting on that sight. If you are an internet marketer, podcasting is one way to get your message out. Podcasting is basically a unique way to distribute any type of audio file. You can buildÂ your list by setting up a password protected podcast area within your blog. Find, record or purchase various internet marketing audios and post them on a weekly or daily basis. Many people are interested in making money on the internet…..there are a lot of scam artists looking to make a quick dollar. If you’re going to post audio content, make sure it’s quality information that will benefit your members and/or blog readers. Bottom line….podcasting is a powerful way to distinguish you as an authority on any niche you represent. Visit www.MightySeek.com and pick up some great teaching on podcasting. They also set up a link with the current podcasting plug-in!